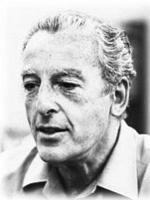 Himan Brown acted in CBS Radio Mystery Theater and is credited with creating thousands of radio programs as a producer. Click here for more information about Himan Brown. 09/19/1979 1014 You're Better Off Guilty When the body of a renowned actress is discovered by a plain and unexceptional stock broker, he finds himself at the center of the investigation. He feels strangely elated to be considered the prime suspect in the case. 11/07/1979 1028 Davey Jerrold's Jacket A local scam artist attempts to swindle a young woman of her legacy. She tries to stake her claim on the entire western United States, banking on a treaty inked by her ancestors and a general in the year 1803. Her only proof is an old jacket in which the deed was written. 11/28/1979 1034 The Philosopher's Stone A soft-hearted banker gives in and accepts a so-called \"philosopher\'s stone\" as collateral when a man hard-up on luck walks in to ask for a $100 loan. He then discovers something about himself in the process. 01/16/1980 1051 Prisoner of the Machines A group of rebels are taken prisoner by robots during a war between man and machine; and their commander plans to liberate them from Asteroid Prison One. 01/23/1980 1053 The Forty-Four The local sheriff has been in love with a wealthy landowner for the longest time. When she confesses to the murder of her cousin over a dispute on the ownership of a certain property, ballistics reports on the weapon come back negative and he must find the true perpetrator of the crime in order to save her. I've started to keep track of Himan Brown's cameo appearances now that I've gotten familiar with his character voices. Lately I've heard him as a hotel porter (#793) an apartment house super (#787) and in a pivotal role as a pawnbroker (#782). I once spoke to Mr. Brown on the telephone. It was in '98 during the revival. We spoke for about 5 minutes. He was very kind and told me about the other radio shows that he had produced. I told him that I thought Radio Mystery Theater was the greatest radio show and all history. He really lit up when I said that and became quite animated. You could tell he was so proud of Radio Mystery Theater. Of all the shows that he produced I think it was his baby. A truly great man. Mr. Brown was also in countless other episodes, although his name was not listed in the credits. Listen for him in The Other Soul, Revenge is Sweet, and many many more. He frequently plays a cop or other smaller roles. The Blue Sedan was another episode that Himan Brown was in, but not mentioned. He was a police chief in that one.